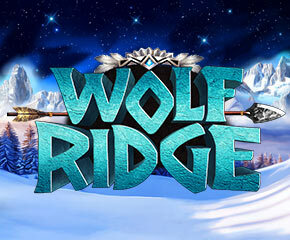 Run up the reels with IGT’s Wolf Ridge slot game. Placed on 5 reels and 30 paylines, this slot will help you win cash prizes as you get touched by the Northern Lights. Loaded with a number of free spins bonus feature, prize desk feature and rewarding scatter, this pack of wolves can get you some clever wins. Grab up to 250 free spins and nab the prize disk rewards and enjoy 3x and 2x multipliers. Players can stake anywhere between 50p to £1,000 per spin and play this slot game on any preferred device including tablets and smartphones. Presenting spectacular visuals, Wolf Ridge slot has the Northern Lights as the backdrop and vibrantly coloured gemstones representing the game symbols. You will see racoons, lynxes, mouflons and wolves appearing on the reels. Wolf is the highest rewarding icon that can pay up to 10x your stake if you land 5 of them on a payline in the base game. The scatter appearing on the middle reels can replace all other symbols except the wolf scatter. Catch the Wolf scatter on reel 1, 3 or 5 to trigger the prize desk feature and for every scatter get a cash prize ranging from 2 to 70x your total stake. With a wolf scatter on reel 3, you can get 3x multiplier on your prize which can work up to 210x your stake. With the free spins bonus feature, you can get one or more bonus spins symbol from the prize desk feature where each symbol can get you 10 free spins. This feature can be retriggered. Moreover, the value of the symbols increases when 5 Wolves land on a payline to give 100x your bet. With 2 complementary free spins, you can get up to 250 free spins. The prize desk can simultaneously bring 2x to 150x your bet amount. Triple your cash with the wolf scatters appearing on reel 3. If this appears on reel 2 or 4, you can get 2x multiplier. 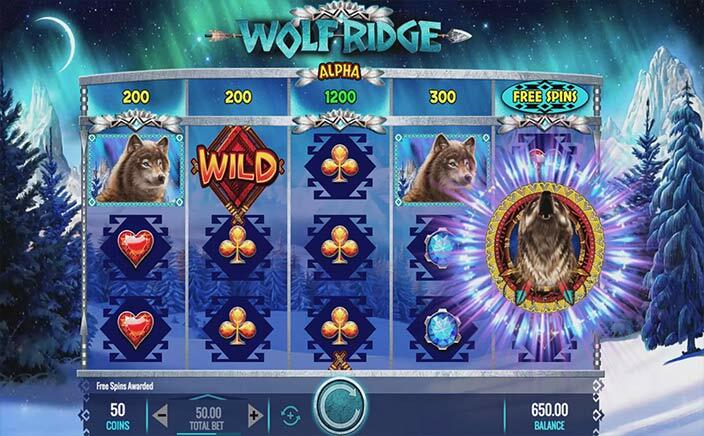 From the house of IGT, Wolf Ridge slot offers rich surprises in the snowfields. The prize disk feature is interesting as well as paying. With a medium variance, the slot offers a balanced payout. You can claim as much as 1000x your bet on each spin.